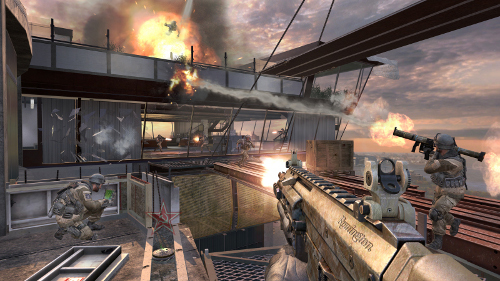 The Xbox 360 version of Call of Duty: Modern Warfare 3 received a brand new multiplayer map today. The Overwatch map is free to download through Xbox Live - but only if you've got a premium subscription to Call of Duty Elite. Players without an Elite subscription will have to wait a bit to get their hands on Overwatch. 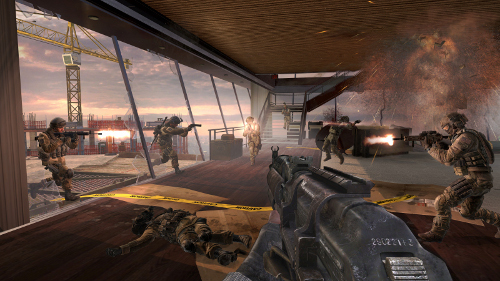 Activision plans to bundle it with the previous two DLC maps in a Modern Warfare 3 Content Collection. Non-subscribers will be able to purchase this Collection sometime in March. PS3 and PC owners will also need to be patient. 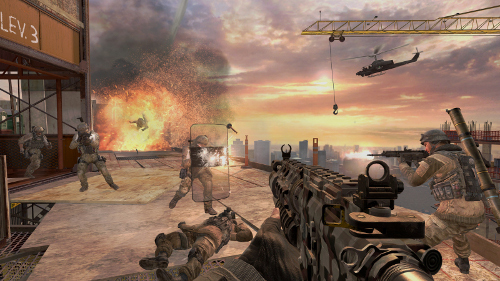 All DLC for Modern Warfare 3 is a timed exclusive for the Xbox 360. It took an additional month for the PS3 to get the other DLC maps. The PC still hasn't gotten anything yet. Overwatch is one of 20 DLC packs planned for MW3. The game's "Content Season" will conclude in September. "Call of Duty Elite Drop 3: Overwatch drops you into a construction site atop a New York City skyscraper," says Activision of the new map. "The battle takes place along two levels in a near symmetrical layout, with the central bridge and side routes open to attack from multiple angles. Watch your every step, as a lack of safety barriers surrounding the perimeter leaves nothing between you and a 70 story fall to the ground below." Screenshots of the map are below. For another look at this locale, check out the trailer from last week.